Like most people I’ve always been a fan of the classic novel by Bram Stoker. 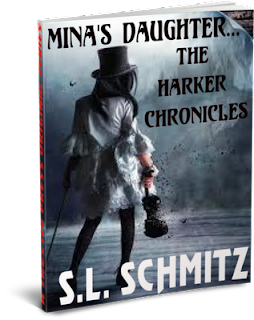 Schmitz gives us an interesting take on the subject here introducing the character of Mina’s daughter and her friends. From the very start of this piece we get an excellent juxtaposition from a cosy picnic setting to the sense of deep foreboding and immediately a feeling that things are not quite what they seem with Mina’s daughter. When something goes awry at the picnic and the girls picnicking find themselves suddenly in very real danger. Schmitz sets the initial scene very well within these first couple of chapters and we learn more about Katie. I found this first instalment to be well written and interesting throughout. I very much look forward to the next.